PALM DESERT, CA - July 16, 2018 - Hobsons, the education technology leader and company behind Naviance, will hold the third Naviance Advisory Board meeting today at Hobsons Summer Institute 2018 in Palm Desert, California. The Advisory Board will meet to provide strategic consultation on Naviance and the market that it serves. The mission of the Naviance Advisory Board is to inform and influence decisions related to the current and future state of Naviance. Formed in February 2018, the Advisory Board is made up of twelve K-12 education leaders from across the country. Each of the members assist Hobsons by providing insight on the current market and landscape of the population served by Naviance, as well as providing feedback on the product strategy, product roadmap and customer experience. The Board will meet today to participate in a discussion about the product roadmap, a workshop on market needs, and a review of the College, Career and Life Readiness Framework. The new framework will officially launch at Hobsons Summer Institute 2018 on July 17. Following today’s meeting, Advisory Board members will attend the Hobsons Summer Institute to take part in the many exciting best practice sessions offered throughout the three day conference. Hobsons helps students identify their strengths, explore careers, create academic plans, match to best-fit educational opportunities, and reach their education and life goals. Through our solutions, we enable thousands of educational institutions to improve college and career planning, admissions and best-fit matching, enrollment management, and student success and advising for millions of students around the globe. 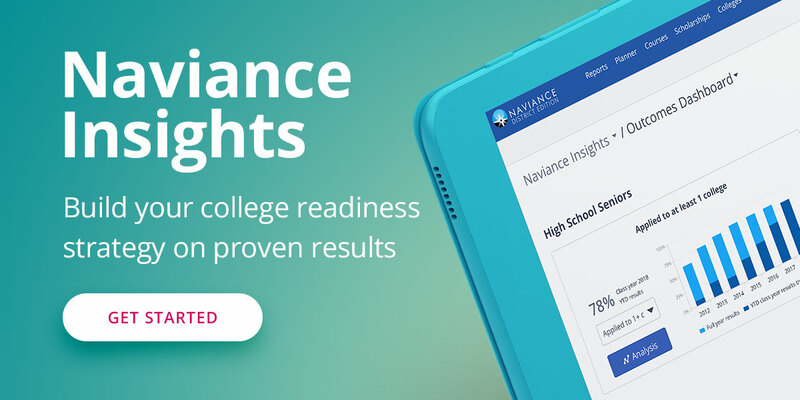 Our leading college and career readiness platform Naviance was named the 2017 and 2018 SIIA CODiE Award winner in the Best College and Career Readiness Solution category.